In contrast to the Dharamshala and McLeodganj, treat which are Buddhist centers, for sale the beautiful countryside of Kangra shadowed by the sublime Dhauladhar ranges is a bustling Hindu pilgrimage town. 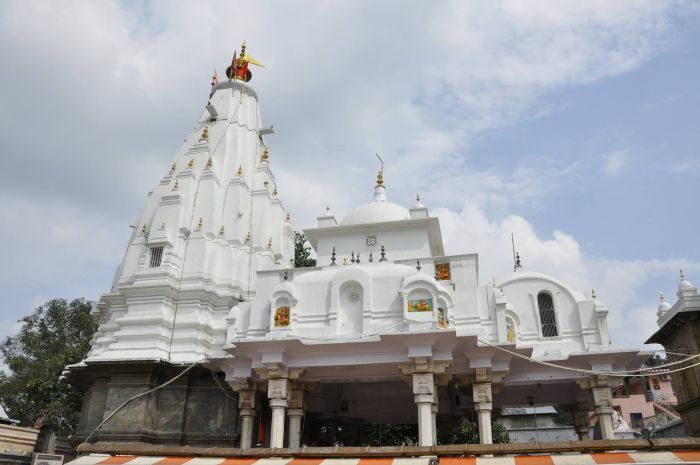 The temple of Brijeshwari Devi is considered one among 51 other Shaktipeeths in the country and Hindu devotees from far and wide travel to pay homage at this shrine. 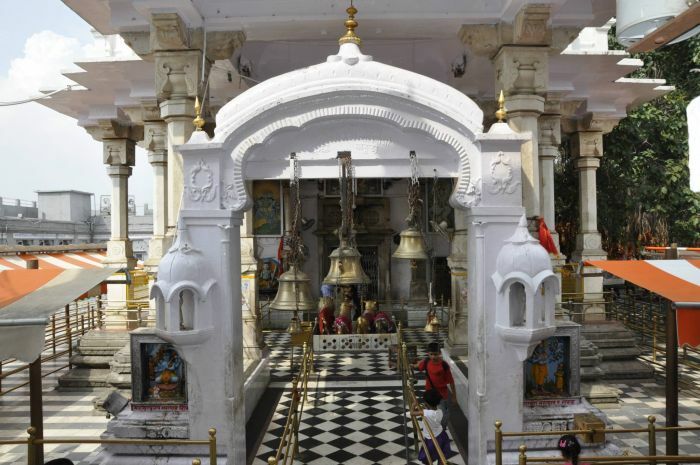 The temple, one of the wealthiest shrines in North India, has a long history of plunder, loot and destruction but has always managed to bounce back. First plundered by Mahmud Ghazni in 1009, who between 1001 and 1025 carried out 17 raiding invasions into India; taking back enormous wealth each time. 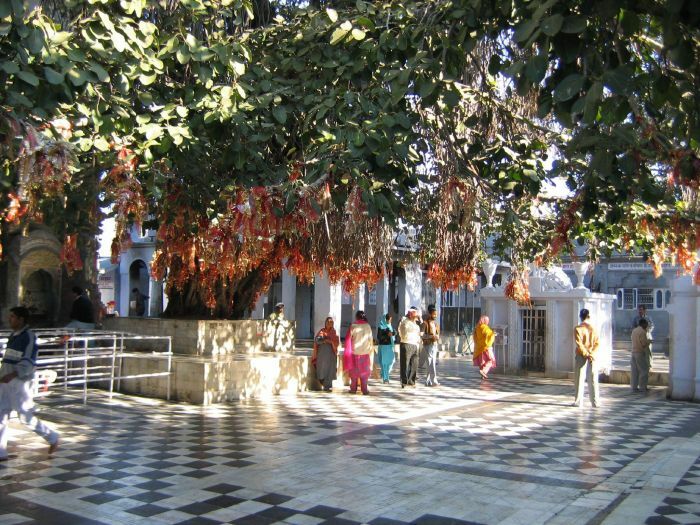 Mahmud left behind a garrison and constructed a mosque at Kangra after the invasion but a local king was able to reclaim the temple town 35 years later. The King installed a replica of the old idol and the temple with time regained its old grandeur. In 1360 Firoz Shah Tughlaq ransacked the temple but the great Mughal Emperor Akbar extended patronage which again restored the temple to its old glory. Disaster struck in 1905 when a massive earthquake shook all of Kangra and completely destroyed the temple. The tremor was so severe that even the strong foundations of Kangra Fort were laid waste. Painstakingly the Kangra Restoration Committee has rebuilt the temple and brought it back to life. Hindu religious texts record a tale about Goddess Sati at not being able to withstand the disgrace shown to her husband Lord Shiva sacrificed herself at her father’s court. On arriving at the scene Shiva took her body on his shoulder and broke out into the all consuming Tandav dance. 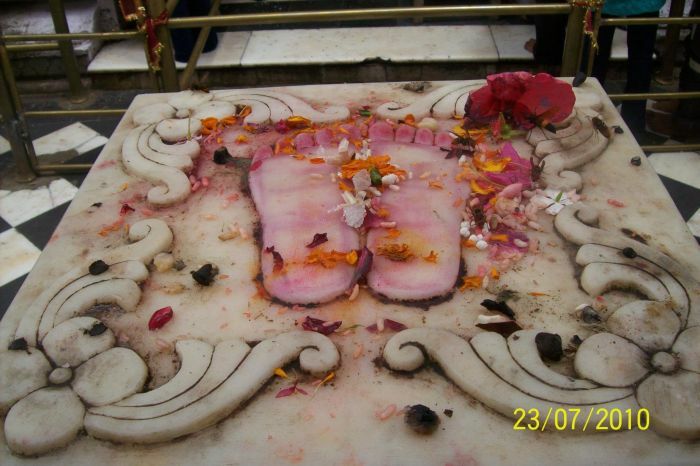 At the 52 places where the charred limbs of Sati fell during the dance of destruction became charged with primordial energy and have come to known as Shaktipeeths. A Svayambhu Pindi in black stone at Brijeshwari Mata temple is considered a symbolic representation of the charred breasts of Goddess Sati. Within the temple complex there is a smaller shrine dedicated to Bhairav too. 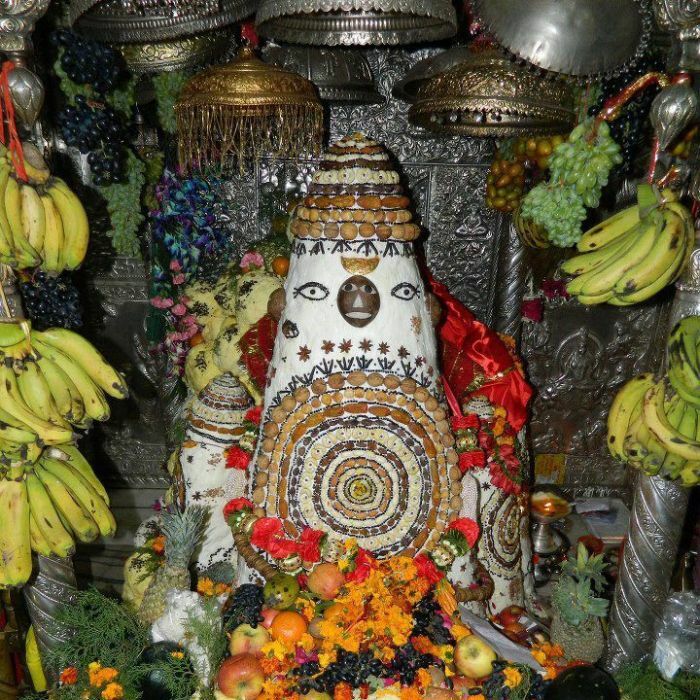 An idol of Dhayanu Bhagat, a devotee who offered his head to the Goddess, is also placed in the temple. 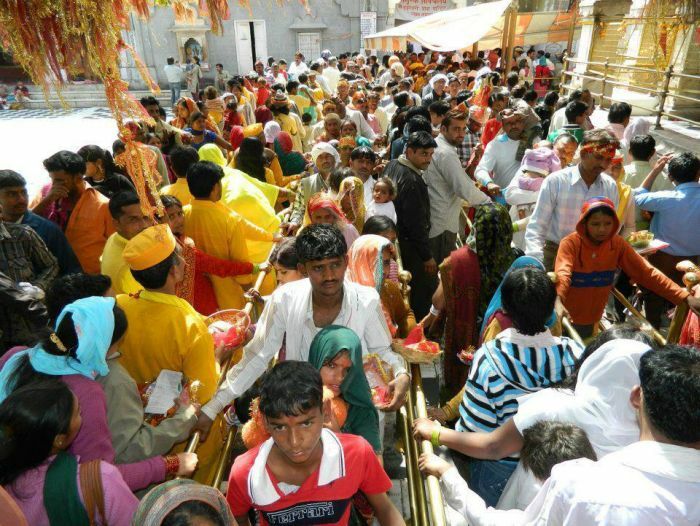 During the auspicious navratra days, the temple bears a festive look and thousands of devotees visit the temple each year. At the time of Lohri festival (mid January), the goddess manifest in the Pindi is decorated with layers of butter. The tradition comes from a tale where the Goddess is said to have used butter to heal battle wounds after defeating Mahisasur, a powerful demon. Kangra valley is bestowed with the most pristine alpine climate that makes it ideal to visit it any time of the year. To seek the goddesses blessing, one can visit the temple anytime of the year. 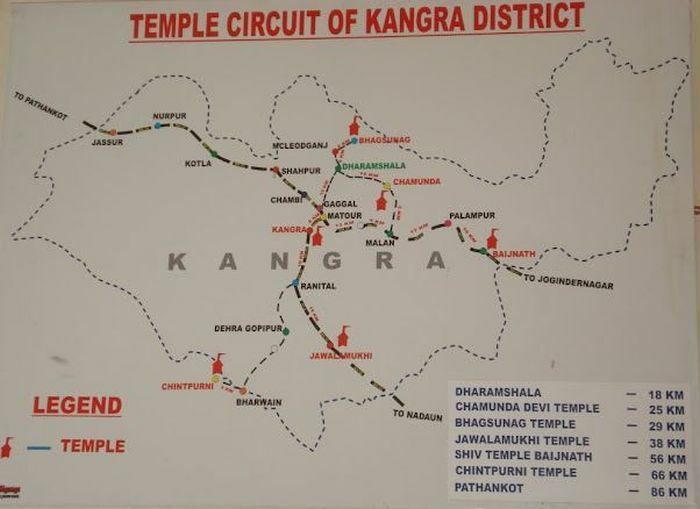 Placed in the heart of the valley, the Kangra temple is only 20 Kms for Dharamshala and 11 Kms for the Kangra railway station. 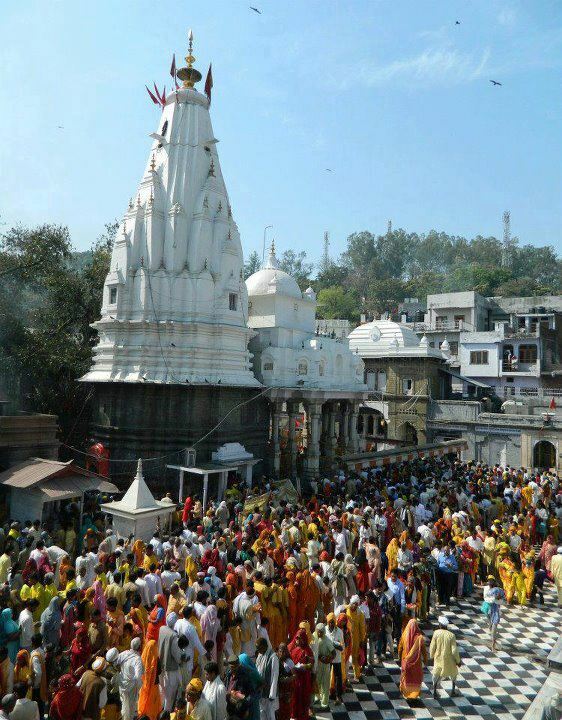 Kangra is also connected by air at Gaggal airport and there are several buses that touch this famous temple town daily.